Pros: Has little to commend it, aside from a cast who are clearly enjoying the material. Cons: Suffers from an overdone plot, clunky dialogue, poor characterization and, most regrettably, nothing to say. A confusing mess - not quite satire and not quite straight drama - that aims for laughs and enlightenment and achieves neither. Brexit was, for better or worse, a defining moment in British history. Depending on your outlook, the vote to leave the European Union could represent triumph or travesty, a chance to redefine British society and identity or a woeful regression to a darker time in European politics. 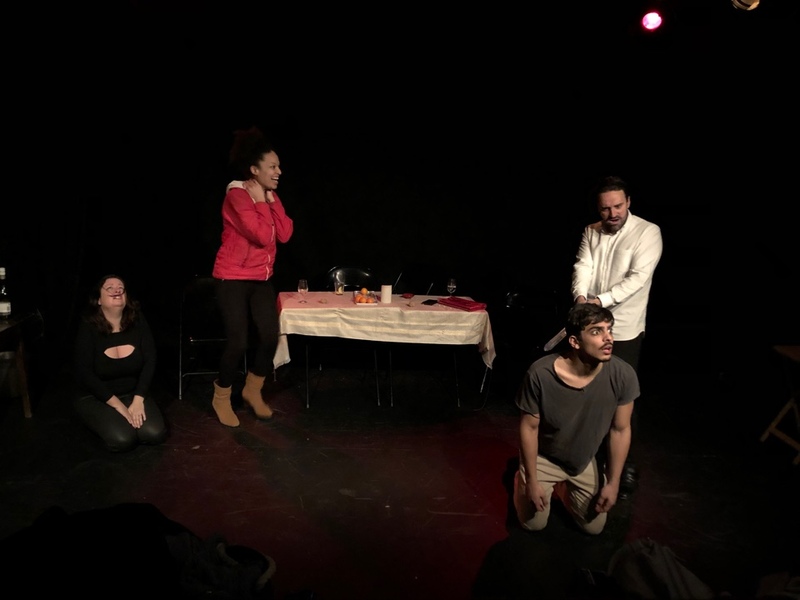 Theatre can, and should, respond to the times, and over the past two years, there have been several attempts to create a play that addresses the issues of Brexit in a way that is as enlightening as it is engaging. Bricks of the Wall is not that play. 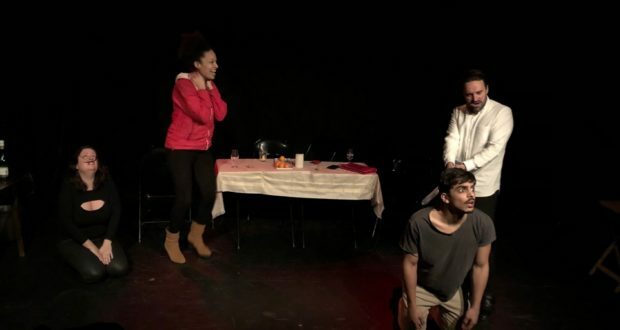 Using the well-worn setting of a dinner party, the play satirises attitudes to the vote, from earnest liberalism to distrustful xenophobia, and all with the subtlety of a bright red bus. The characters are two-dimensional, the jokes fall flat, and any observations on the state of the country are limited to the trite takes one might expect in a newspaper comments section. When the play moves into more absurd and extreme territory, I was not shocked by the nastiness. I was just bored. To speak of positives, the performances are fun if (perhaps deliberately) exaggerated. Sophie Pâris is convincing as the tediously right-on Isabelle, while Julien Romano is highly effective as her husband Neb, whose cruel humour warns of the violence to come. George Anastasiades works well as Nicolai, the foil to Neb’s brutal masculinity, even if his portrayal of a gay man sometimes threatens to veer into campy stereotype. Johanna Thea excels as Susana, bringing complexity and charm to a rather thinly-written role. There are many problems with the play, but the main issue is the tone. Bricks of the Wall seems to want to be both snarky satire and affecting drama, but without biting dialogue, witty observations or empathetic characters, is simply a confusing, alienating, and frustrating watch. There are worthwhile questions, particularly when it comes to the normalisation of hatred. Sadly, the play is unable to investigate these in much depth, and ultimately they only serve to justify some rather tasteless violence. From ferry services without ferries, to British passports being produced in France, one could be forgiven for thinking that Brexit is beyond satire. Perhaps in that regard Bricks of the Wall is the perfect Brexit play – a work without nuance or irony, and staged by unbelievable cartoons. I voted remain in the referendum, but this was a play I was more than happy to leave.